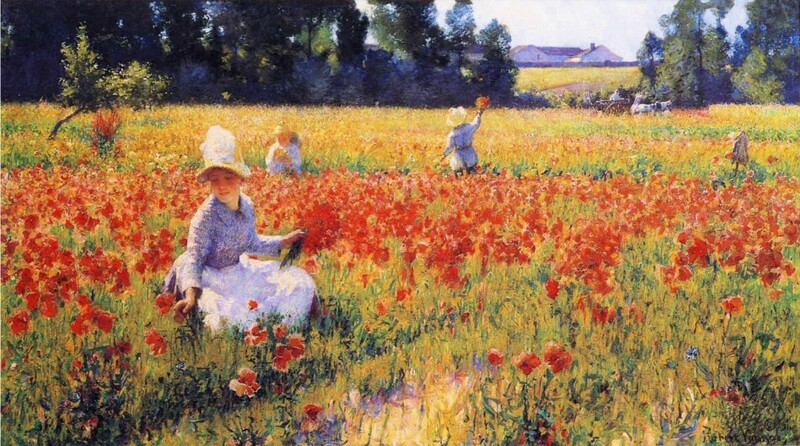 Click to view; 1890 painting by Robert Vonnoh (1858–1933) “In Flanders Field,” shows beautiful red field poppies appearing in the late 19th-century.The Butler Institute of American Art. These are free choice readings. Go in any order you wish, but keep a timeline of people and events as you go. Joan of Arc by Ross, W-? The Golden Age of Railroads by Holbrook, #93 (1830-1920) Hard to place exactly.